The gallbladder is a small organ situated below the liver. The bile produced by the liver is stored in the gallbladder and released into the small intestine to help in the digestion of food. The gallbladder is a sensitive organ, and keeping a healthy diet full of nutrient-rich foods helps to keep it in ideal health. Some foods can protect and promote a healthy gallbladder, whereas others increase problems like inflammation or gallstones. If your gallbladder isn’t maintained in good health, it may have to to be removed. Choose monounsaturated fats and avoid saturated fats. Go for olive oil and canola oil. Omega-3 fatty acids found in avocados, canola, flaxseed, and fish oil, may minimize the risk of getting gallstones. If you eat animal products, prefer low-fat options like lean chicken instead of red meat, skim milk and low-fat yogurt in place of whole milk. Take enough amount of fiber in your diet to improve your digestive system .Eat whole-grain bread, cereals, fruits, and vegetables as they are a good source of fiber. It will help you lose weight and may prevent gallstones. Peanuts, almonds, and walnuts are helpful in preventing gallstones. Nutrients present in fruits and vegetables may prevent gallstones. Carbohydrates are converted into sugar in your body. 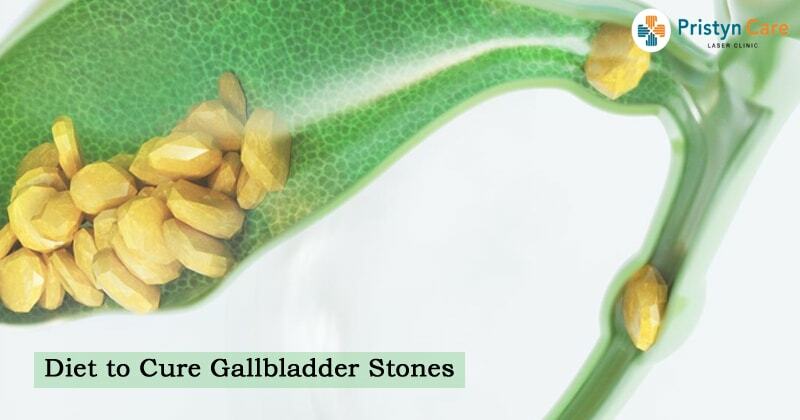 Foods like pasta, white bread, and other carbohydrate-rich foods can increase your risk of gallstones. Having too much sugar in your diet may increase the risk of gallstones. It’s better to avoid sugary foods and choose low-sugar food alternatives when possible. It is said that moderate consumption of alcohol and coffee may actually prevent gallstones.